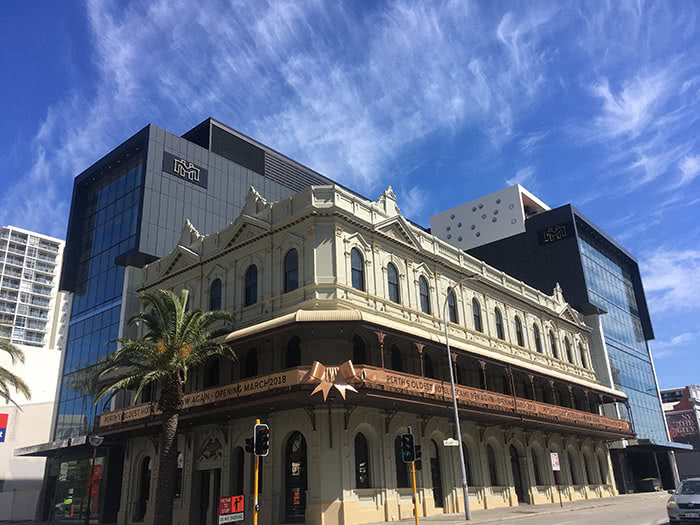 The Melbourne Hotel is a Perth Icon re-opening in early 2018. 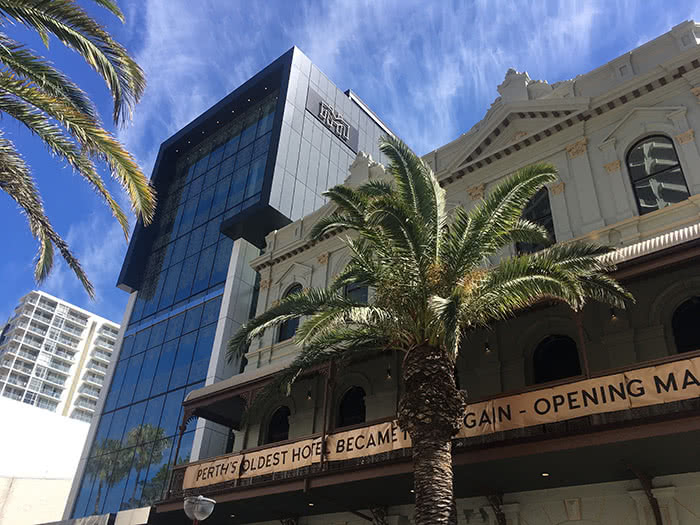 Originally designed and built in the late 1890’s, the heritage building has been retained on the corner of Hay and Milligan Streets, and with the addition of a new modern architectural building, the new hotel operations will offer a mix of 73 heritage and contemporary guest rooms and multiple food & beverage options with leading hospitality operators. The tight site constraints in the heart of the CBD presented a challenging build on this project for external works. 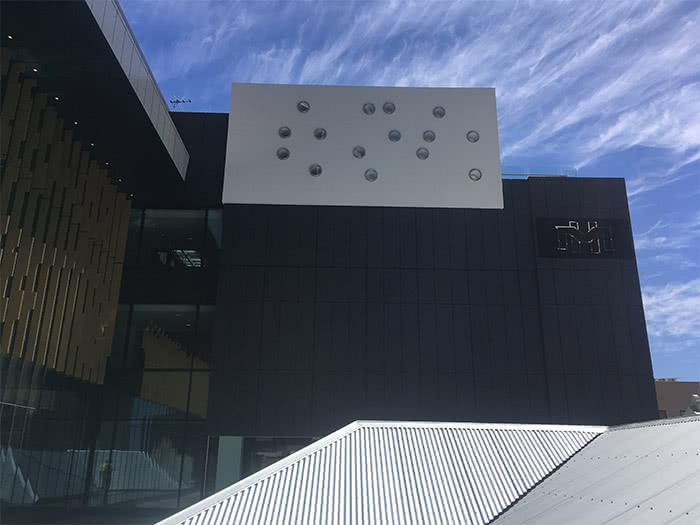 It was however the retention of the Heritage listed building that posed the biggest challenge and meant that traditional building methodology involving the installation of ACP panels off a fixed scaffold was not possible. To address this unique challenge, DENMAC’s in-house design team worked closely with our consultant engineers to develop a system of install involving prefabricated modular units craned into position using the tower crane and fixed off via a DENMAC designed bracketing system fixed to channels cast-in to the slabs. The fully weather-proof engineered modules ranging in size up to 6mx2.8m incorporated steel framing, vapour barrier, secondary framing and aluminium composite (FR) panels providing a completely finished, lightweight façade layer to the building. Thirty two (32) separate modules were installed across six (6) separate construction days representing ~400m2 of cladding. All elements of the module build-up were fabricated in-house in DENMAC’s expansive fabrication workshop located at Malaga in Perth’s northern suburbs.